It always pays to have your camera with you when you are out and about – and especially when you are always looking for your next project car. 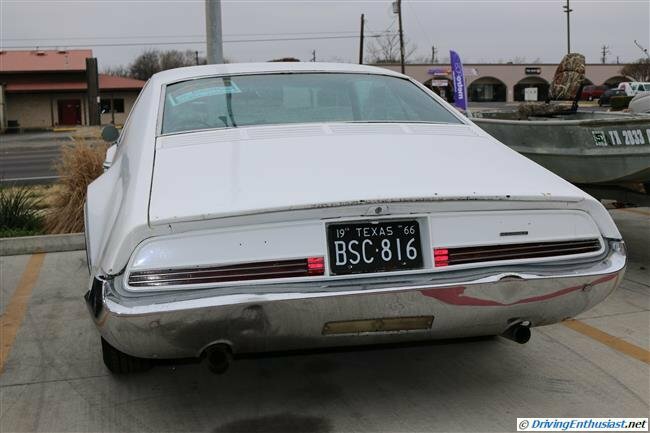 Three years ago it was this 1968 Thunderbird, which we regretted not buying. 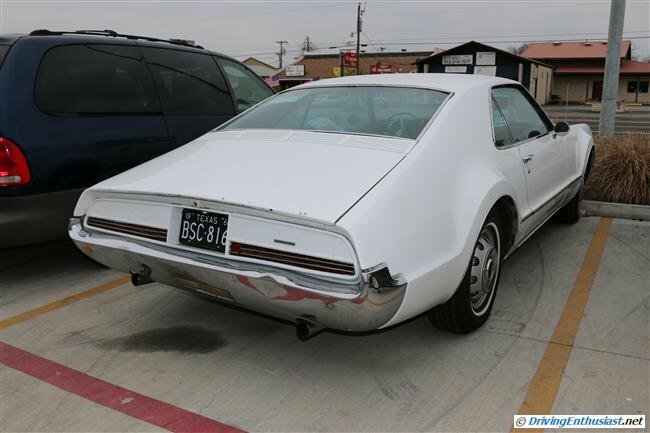 Today’s find is this 1966 Oldsmobile Toronado, spotted at a used car lot in Cedar Park Texas. 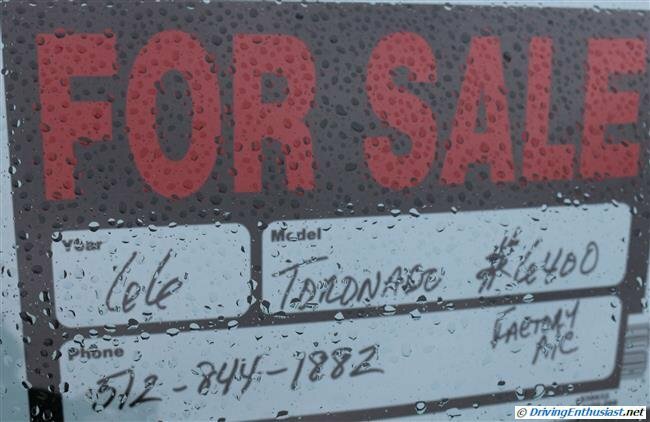 Only $6400 dollars, with factory AC, and in very good condition. We weren’t able to get inside the car, but the only major issue we spotted was a dent in the rear bumper and some very minor surface rust underneath. 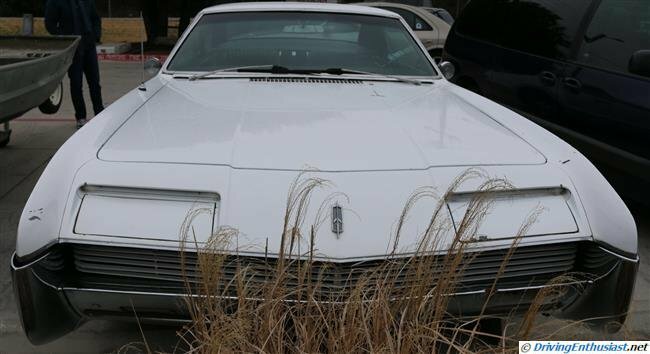 This would be a great restoration project for a Oldsmobile enthusiast. Full gallery of images here. 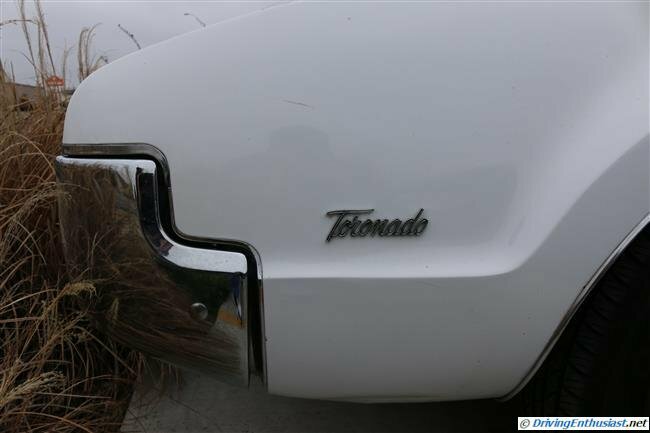 1966 was the 1st year of the Toronado…. 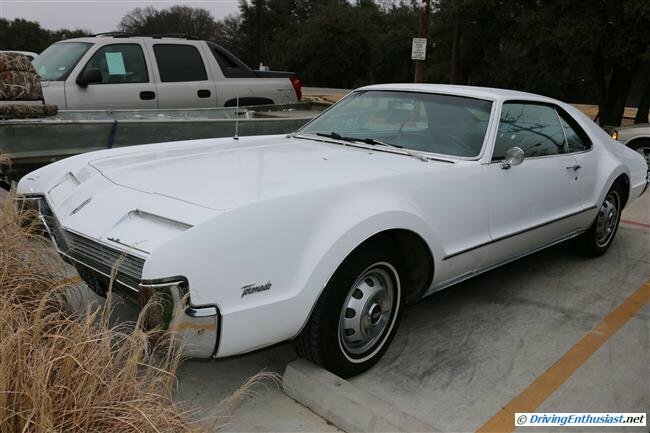 it’s a V-8 powered coupe (longitudinal 7 liter engine with 385 HP gross) with – incredibly – front wheel drive. 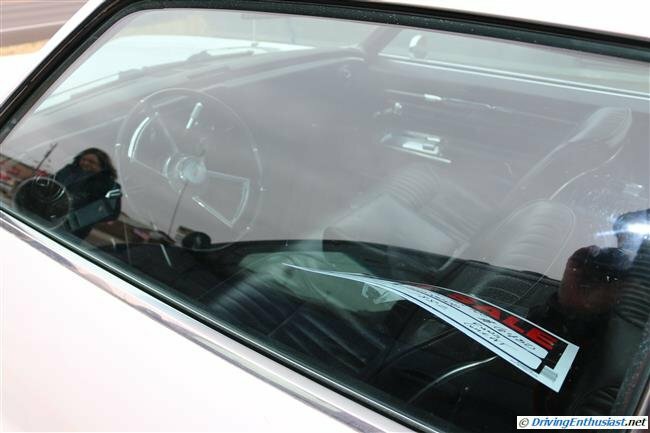 A revised version of the existing GM three-speed transmission, and a pair of 2″ chains, sends power to the front wheels. And it weighs only 4496 pounds “dry”! 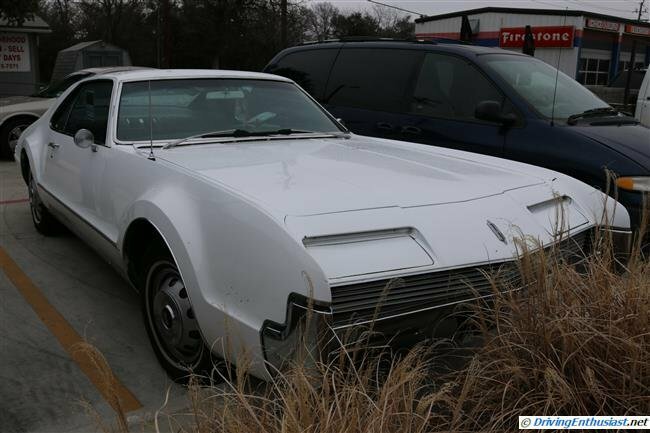 An entirely new chassis was designed for GM for the Toronado. 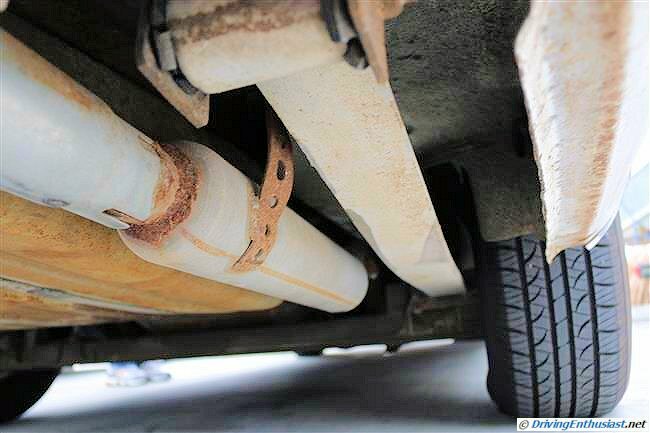 It uses a torsion bar front suspension with double wishbones. 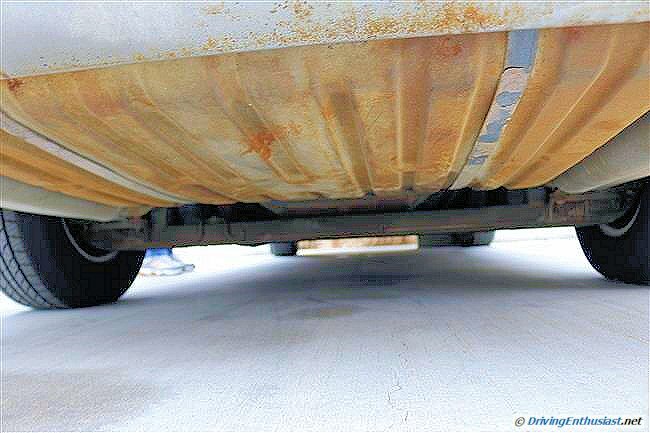 The rear suspension is a beam axle, with leaf springs, and twin shocks – one vertical and one horizontal to locate the axle. 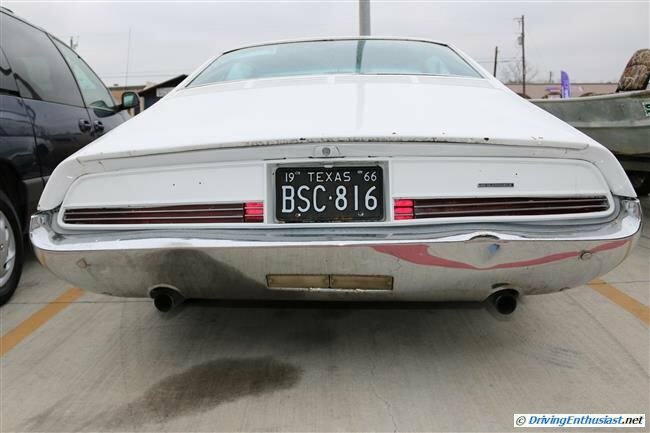 The same chassis also saw duty for the Cadillac Eldorado, and later in essentially the same form for the GMC motorhome. 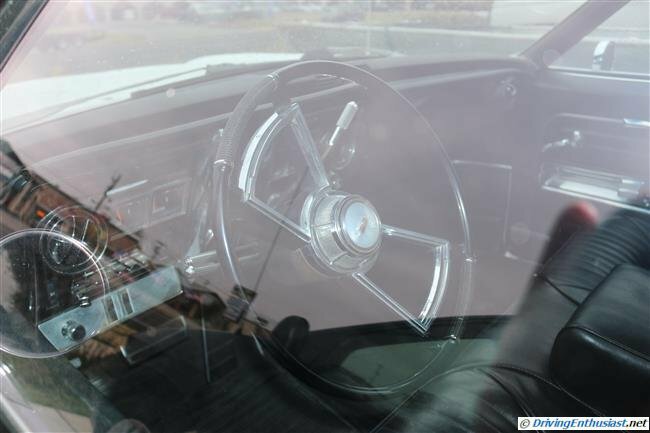 4-wheel drum brakes were standard on the 1st year, with the 2nd year adding front discs. Later a performance engine was added as an option. Yes the Toro’ is strange and bizarre, but we like it. It’s attractive in a late-60s way, sophisticated in styling, and absolutely unique – there is nothing like it on the road. And it’s not a cookie-cutter car like to many other GM products.